There have been times during the past two weeks when Sochi sure looked a lot like Aspen. In terms of medals, the U.S.A. is, as of today, first overall with a total of 25, and nearly half of those honors came from either freestyle skiing or snowboarding, bringing the Olympics ever closer to the X Games. Don’t get me wrong. I love the high-flying tricks, I love the “this guy really passed the cannabis test?” personalities, and, when they don’t result in any serious injury, I love the nasty wipeouts. I’m 20, so I had heard of Tony Hawk and Ross Powers long before I heard about Mike Eruzione. 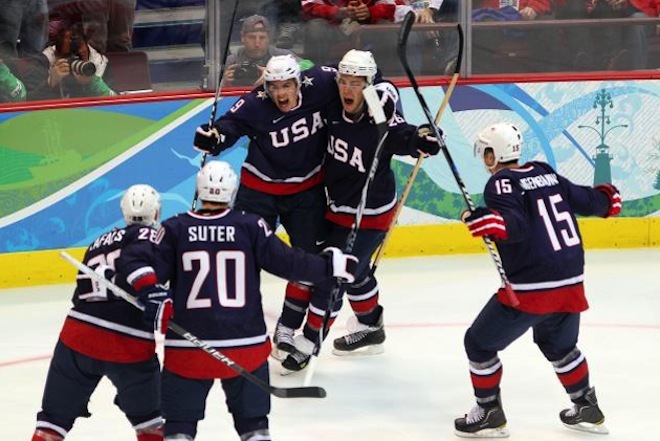 As a hockey fan, I say that sheepishly, but much of my generation only learned of the United States’ greatest Olympic moment—the 1980 “Miracle on Ice”—when Disney made it into a movie in 2004. Hockey invites a passion—a raw, brutal, national pride—that I don’t feel for halfpipe and slopestyle events. It’s that “we beat your country” mentality that makes the sport so easy to get behind—an attitude that’s largely anathema among snowboarders, save for the nakedly ambitious Shaun White—and it’s that feeling that I think excites audiences and makes the Olympics memorable. Speaking of, the boys in red, white, and blue took on Canada at 9 a.m. today, and lost 1-0. It was a heartbreaking loss that leaves us with, best case scenario, a bronze, but one that reflects the true meaning of the Olympics for me. Rather than landing one more trick or getting one more foot of air, I want to see competition at its most intense. Unfortunately, I didn’t feel there was much of that this time around, but there’s always 2018.